August 2018: International Ornithological Congress and Vancouver International Bird Festival! This August bird lovers from around the globe will flock to Vancouver for the biggest bird extravaganza the city has ever seen. The International Ornithological Congress (IOC 2018) kicks off on August 19 and will include a stellar line up of speakers and workshops covering the latest research findings and conservation achievements in the world of ornithology. Registration for the congress is open now. Vancouver International Bird Festival (VIBF) will coincide with IOC 2018, running August 19-26. Enjoy a full week of birding tours, art exhibits, a parade, and many more exciting bird-related activities open to the public. Tune in for VIBF’s Bird of the Week to learn more about local species in the lead-up to the festival. One of North America&apos;s largest urban great blue heron colonies is in Vancouver. Did you know that one of the largest urban great blue heron (Ardea herodias fannini) colonies in North America can be found at the entrance of Vancouver&apos;s Stanley Park? 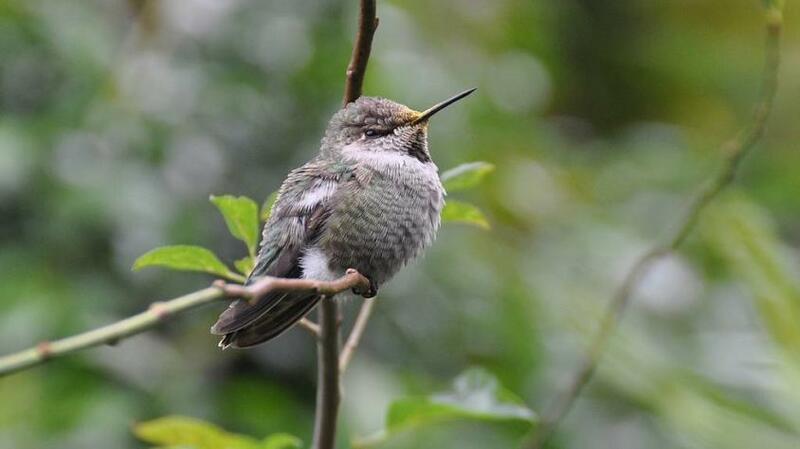 The lush urban park is Vancouver’s crown jewel, spanning 1,000 acres and easily accessible by bus, bike, and on foot from downtown, and these birds have been nesting in various locations around the park since 1921. The diverse forest and seashore landscape makes it the ideal home for 230 other bird species over the course of the year. In addition to blue herons and bald eagles, you’ll also find songbirds, owls, shorebirds, wading birds, warblers, birds of prey, and many other species. Check out the Stanley Park Ecology Society website for fun facts about herons, how to adopt a heron nest, and even tune in to the bird cams. New bird garden unveiled at VanDusen Botanical Garden. There’s a new destination for birds and birders in Vancouver! Set to be a hit for visitors and families during the festival and congress in August, VanDusen&apos;s Backyard Bird Garden offers an enhanced habitat for the city&apos;s resident and migrating birds. Dotted with trees like the deciduous vine maple, perfect for perching and providing food, and salal shrubs, perfect for nesting, the 85 recorded species of birds in VanDusen are sure to flock here. British Columbia is home to 573 species of birds! Many of these species can be found in and around Vancouver. From the North Shore mountains to the Fraser River delta, the Greater Vancouver region has a variety of wooded and wetland habitats that support hundreds of resident and migratory bird populations. Popular birding spots include Stanley Park, Reifel Bird Sanctuary, Maplewood Flats, Queen Elizabeth Park (including the Bloedel Conservatory), Boundary Bay, Iona Island, Colony Farm, Tsawwassen Ferry Terminal, Burnaby Lake, and Grouse, Seymour, and Cypress Provincial parks.